The following is an insight into our Association's founder, the late Doreen Smart, as shared by her daughter Janine Wilsher (Smart), and granddaughter Jane, at the AAPNZ Conference 2006 held in Palmerston North, July 2006. "Doreen would not have been surprised at the size or effectiveness of the organisation today, but she would have been a little daunted at the way you work now. In Mum's day everything was done manually; notes taken in shorthand, a gestetner and carbon copies on a typewriter, no computers, internet, scanners or even cellphones. How things have changed! Doreen knew the potential but she may not have recognised it now. I wonder how it will look in another 35 years. 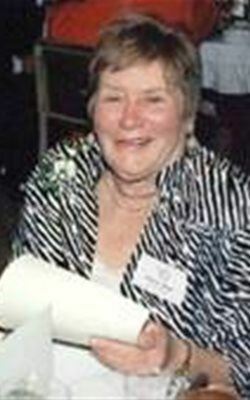 “Doreen was an exceptional person. She had very wide and diverse interests in life. She related really well to people and if she believed in something nine times out of 10 she made it happen. We were very 'active' in my childhood, from chanting 'ban the bomb' and waving placards in Government grounds to acting in Downstage plays and singing folk songs in shopping malls. Life was never dull. Mum studied subjects from Greek mythology (good fun for a kid!) to education to the Spanish guitar. When I was born Mum had her own 'Public Typing' business which she ran for some years, servicing Law and Accounting firms in Wellington. At some point she decided she needed to become a teacher so that she could have the school holidays with me. So of course, that's what she did! Her first job was as a commercial teacher at Wellington Technical College where she went on to become the HOD. When Wellington Polytechnic was first mooted, Mum was asked to set up the Secretarial School which she developed into the largest school in the organisation. This is where she met and employed Valerie Jackson. After many years at Polytechnic she joined the Education Department as a school inspector. It was from this position that she retired and moved to Otaki. We laughed a lot and talked even more. Doreen taught me by example how to strive to achieve things; how to believe in myself and have the confidence to 'have a go'. She taught me that I didn't have to 'stand in a queue' for anything - I could and should make my own queues in life. Doreen was kind and caring of others. She loved her family. We miss her a lot, but every day the way we live our lives, reflects the values Doreen taught us." Janine and Jane were invited to make a presentation to Val Sturgess from Auckland who received an Honorary Life Membership of AAPNZ, the 4th in the history of the Association.